Usually, I let my friend Kim do all the learning for me so I don't have to use any extra brain cells. :) But this week I did actually learn a few things (whether I wanted to or not). I thought I better share them with you - it's good to share important knowledge when you have it, right? 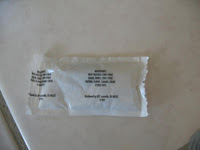 ~ I learned something very interesting about honey packets from KFC. Hubby was happy to have "scored" a few extra packets of honey and as I started to put them in the cupboard, I noticed a list of ingredients on the back. Ingredients? For honey? After reading the assorted ingredients, I flipped over the packet to discover that it is actually Honey Sauce. The VERY tiny fine print boasts that it is 11% honey! It really isn't funny, but oh I laughed so hard!! We'll be tossing those (had to keep until I got a pic - sorry pics are so blurry, but you get the idea!). ~ Many of you saw my completed Procrastination Project (and no, I haven't started Phase 2 even though I gave myself this Thursday as a deadline). We had 3 small boxes of paperwork to shred. After considering the cost of hours of time spent shredding and possibly burning up the shredder in the process, we decided it was worth it to pay the professionals to do it for us. But was it? When considering the cost of professional shredding, one must factor in the possibility that a certain husband might drop his keys into a box and then hand it over and watch it being impressively ground up and go back to the car and realize that he does not have his keys. Shredding + Several key copies + New Alarm Remote/Keyless Entry = Expensive. Here is the lone survivor that was found in the shredder later. 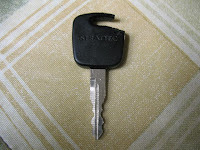 Please observe a moment of silence for the other lost keys and remote. It should be noted that I am not the least bit upset with my hubby - I figure this gives me a "freebie" for the next silly thing I do! ~ Confession is good for the soul! 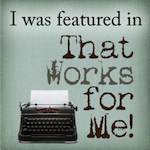 I made a couple of confessions over at Real Life last week. Oh WAIT, that wasn't actually me, just somebody who seemed like me. I wouldn't really do those things. ~ I can do difficult things. I went back to Weight Watchers this week (and I've been there more than once before - first time was successful). Was tough, but glad I did it and I do feel like I can be successful this time! If you like hearing about that sort of thing, you can check out my healthy blog. 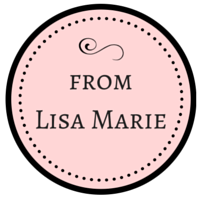 ~ People really do win blog giveaways! I have won a few things recently - very cool! 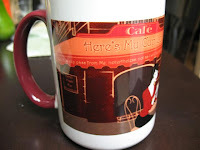 I won this great mug from Here's My Cup Lord (thank you Ginger!) 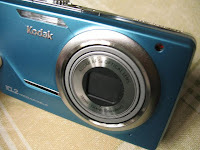 and I won a digital camera from the 5 Minutes For Mom Mother's Day Giveaway (thank you 5M4M!) - so exciting! Oh, and I won a handmade scarf from Homesteader's Heart (thank you Kim!)! So do enter the giveaways you come across - you just never know! ~ I'm sure there was more, but my brain can only handle so much and the rest has already faded. 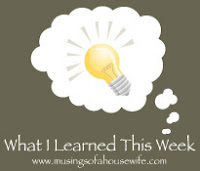 If you need to learn more like I do, you need to stop by What I Learned This Week hosted by Musings of a Housewife and check out what everybody else learned! See you there! I'm also linking this up to Your Life, Your Blog at Real Life - stop over to link up your favorite post from last week and see what everybody else linked! The shredder story was crazy! That sounds like something I would do. Glad you had a good attitude about it because I know I wouldn't have. I'm threatening to give up on blog giveaways though I know I won't. My luck is terrible but Congrats to you. Lots of great stuff you won...a camera! Wow Great prizes! I have been quite blessed with winning blog giveaways as well. I learn something new everyday... thank you for sharing..
Wow! My friend. I am so impressed with your lessons. I feel so bad that you weren't able to post my beautiful unfinished scarf in there. You can send me that digital camera instead of the apron if you feel so inclined! LOL. Ours is DEAD! I'm just kidding. Bummer on the key thing but yeah for the freebie! LOL. Big holy moly Batman this is Honey Sauce size hugs to you my friend. I did happen to know that about the honey--what companies will do to save a buck, huh? Congratulations on winning those giveaways (esp. the camera--woo hoo!) and a moment of silence for the shredded items. Last week I learned not to throw away an old purse with an iPod in it. So what else is in the honey sauce besides honey??? That is HYSTERICAL about the KFC Honey (sauce)! 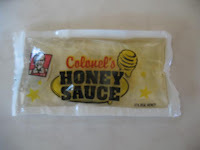 KFC Honey Sauce...I never knew. How funny. I love entering giveaways. Even if I don't win I find so many great blogs this way. Yeah, I haven't had the KFC "honey" in years! Oh, ewwwww! That honey sauce sounds GROSS! The key thing would so happen to me! And I'm a WW lifetimer... it can be hard to stay on the wagon, but boy do I feel better when I do.... you can check out my thoughts on my blog. Off to check out your "healthy" blog! You won a camera? Very cool! Congratulations my friend on all of your wins! The key incident sounds like something I would do. So much for making it easier ;) Oh well, at least now you have some ammunition and that is something I always need! Oh but I guess we should cut him some slack since he built you a beautiful new deck. What a great idea to cover a bare area! 11% honey! That is ridiculous!!! I'll stick with my local sourwood Honey! YUM!!!! 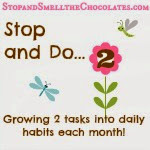 Visiting from your Share Your Life linky. Your blog makes me hungry. I am a chocolate addict.